At last, here's our first look live look at the Zyouhger's sixth member, Zyuoh The World plus read some small info for the upcoming summer movie! 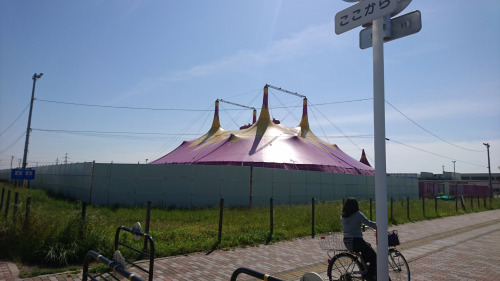 Recently, the Zyuohger cast and production crew were seen filming in a circus tent along with 1000 extras (reported as audience). No other additional information was leaked but rest assured that we will be seeing new Zyuoh The World scans before the month ends! Af first I though the "gold mouthplace" is his visor. Circus tent. Animal circus act scene perhaps? Maybe the circus is related to TheWorld in some way. After all, the powers of a Rhino, Wolf, and Crocodile all in one being must be quite the three-ring circus!